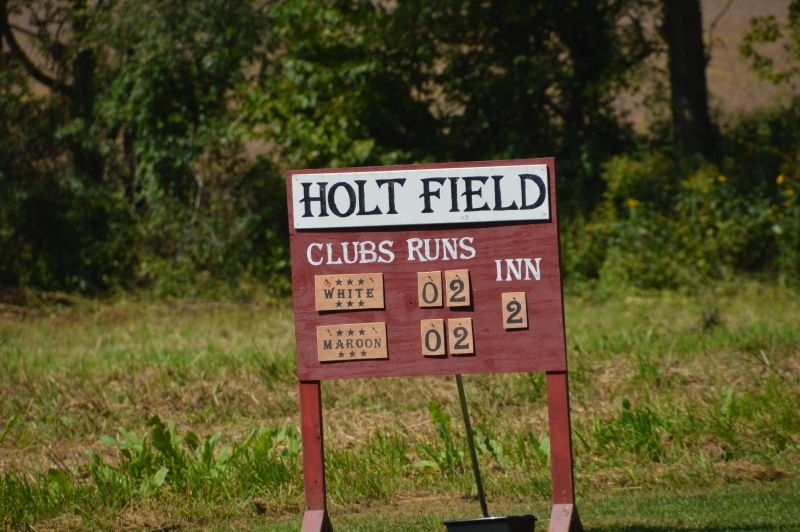 Photo by Glen Arnold, Arnold Studios & More, Garfield Ky.
A year’s work in review welcomed a grand crowd for the 9th Annual Holt Home Community Day September 23. 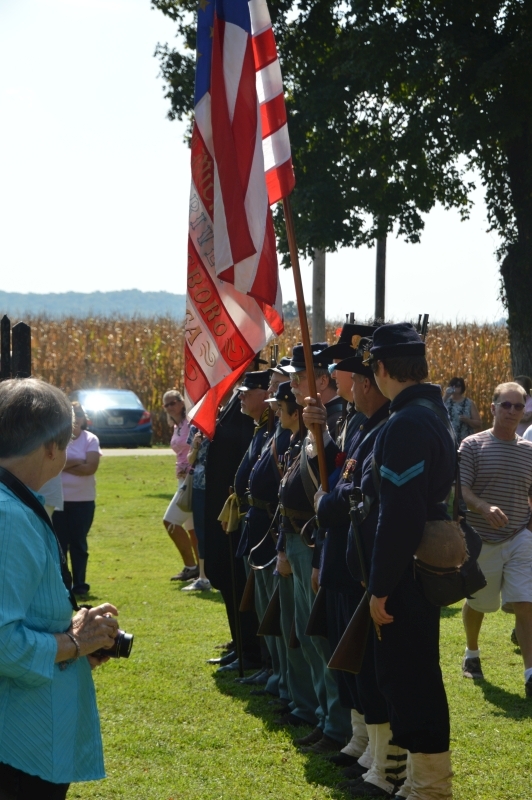 An estimated crowd of 2,000 came to enjoy the community’s pride in the continued restoration of the last official Kentucky Lincoln site in the Commonwealth. There were numerous highlights. 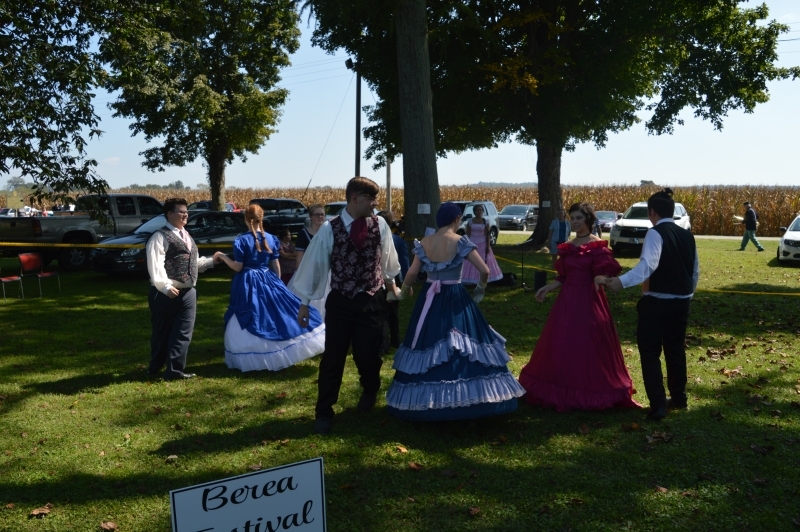 Young ladies and gentlemen from the Berea Festival Dancers danced tunes of the period and their director, Jennifer Rose Escobar, sang lovely ballads. 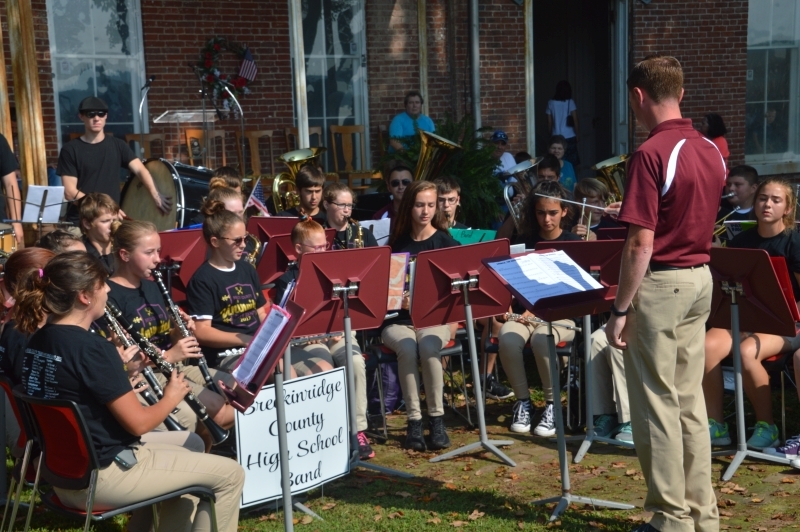 The Breckinridge County Band, surrounded by visitors, made its debut performing majestically on the lawn with Director Ricky Dudgeon. Visitors surrounded the local band as the music entertained everyone. Vocal melodies filled the air with the Breckinridge County Chamber Singers led by new director Phil Jennings singing Lorena. 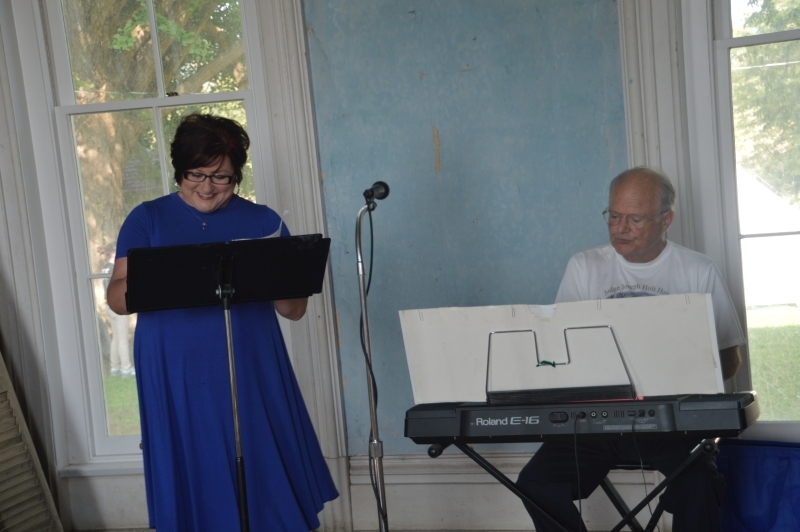 Other locals, Paul Joseph O’ Donoghue and Alison O’Donoghue Mattingly, sang period selections. 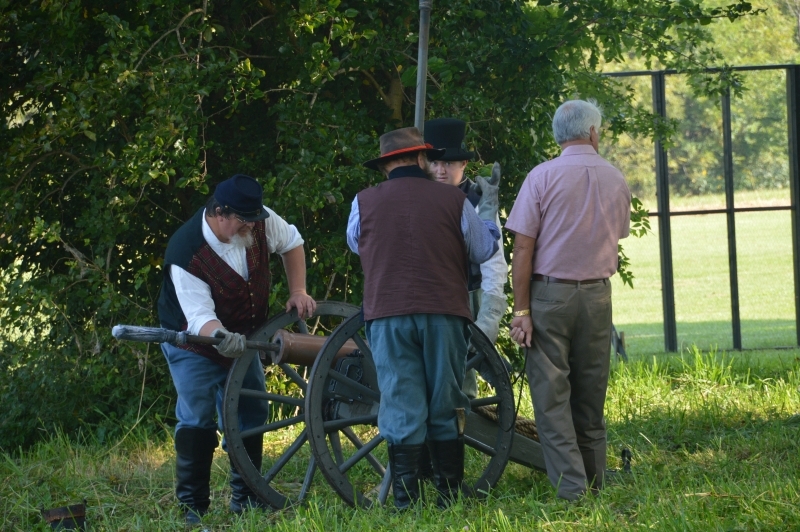 Entering the Holt grounds, guests were greeted with music and the smell of wonderful food cooked by the Breckinridge County Cattleman. 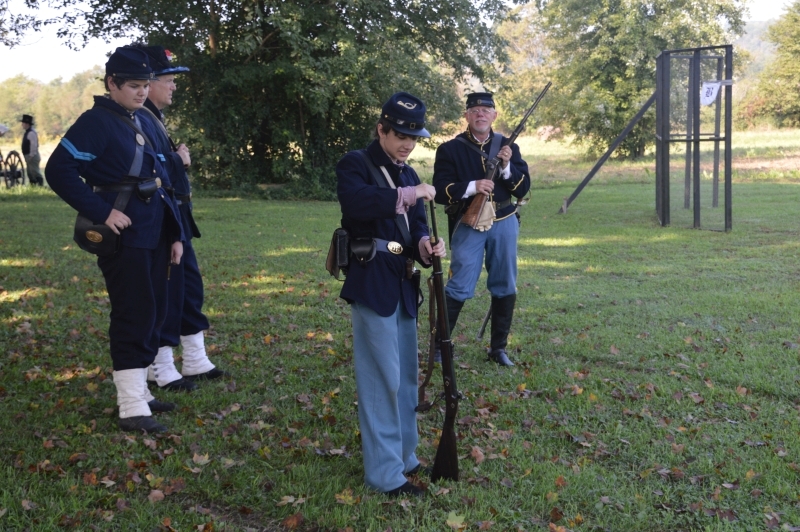 Boy Scout Troop and Club Scout Pack # 95 presented and posted the Colors. 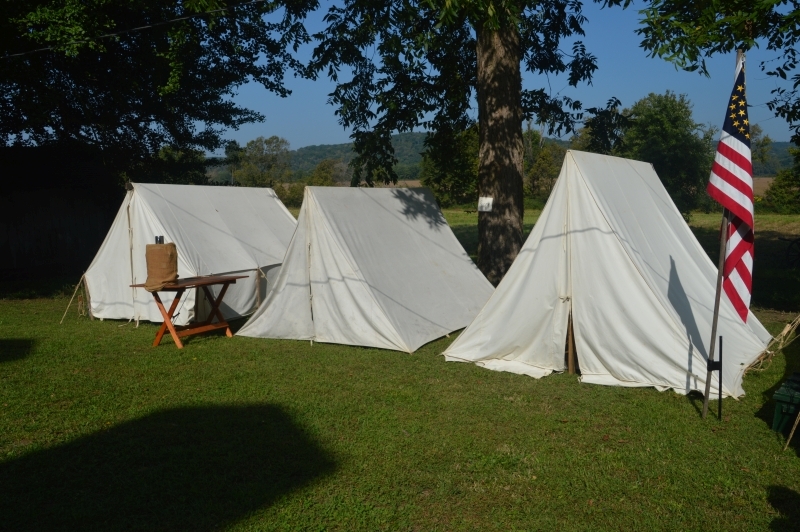 Campsites by the Ninth Michigan Volunteer Infantry and cannon firing by the 14th Light Artillery gave a glimpse of what life was like in the 1860s. 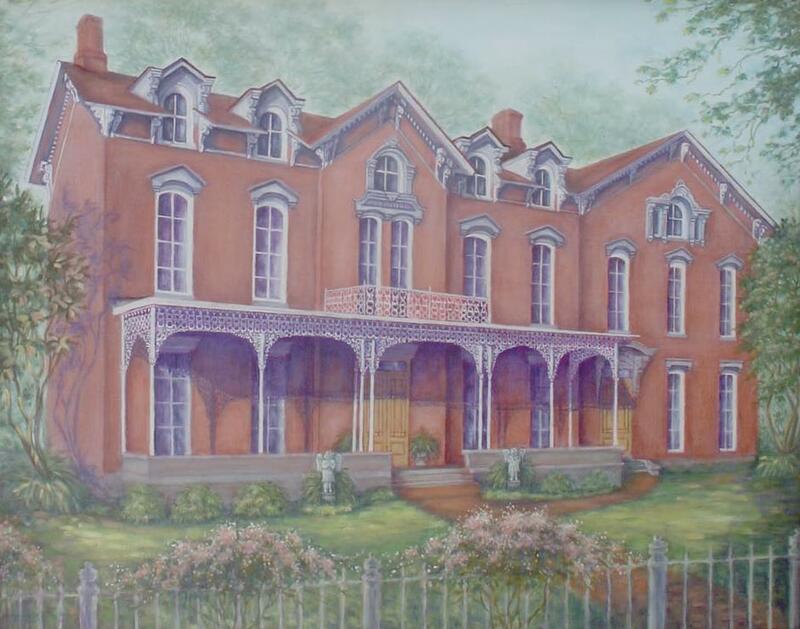 And, Kim and John Nyberg shared pictures and information about the Holt Home wallpaper analysis and its future restoration activity. 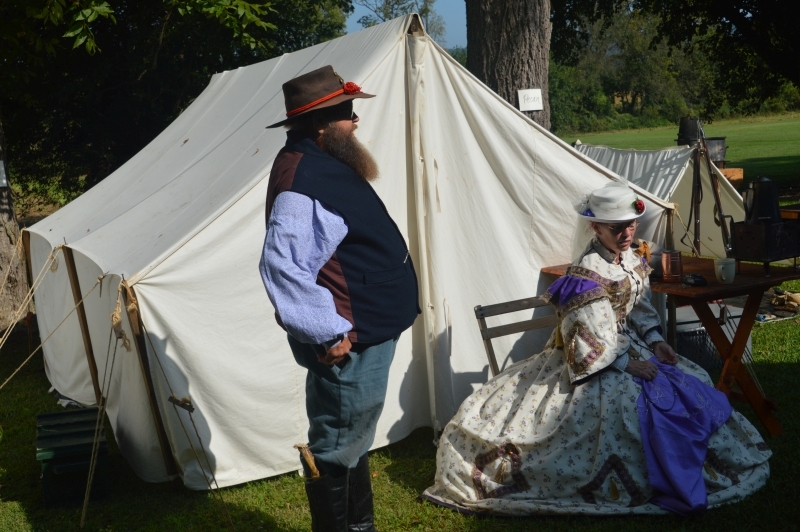 Improvements of the home and grounds were met with approval and visitors were amazed with all the restoration that has occurred with grants and hard work. 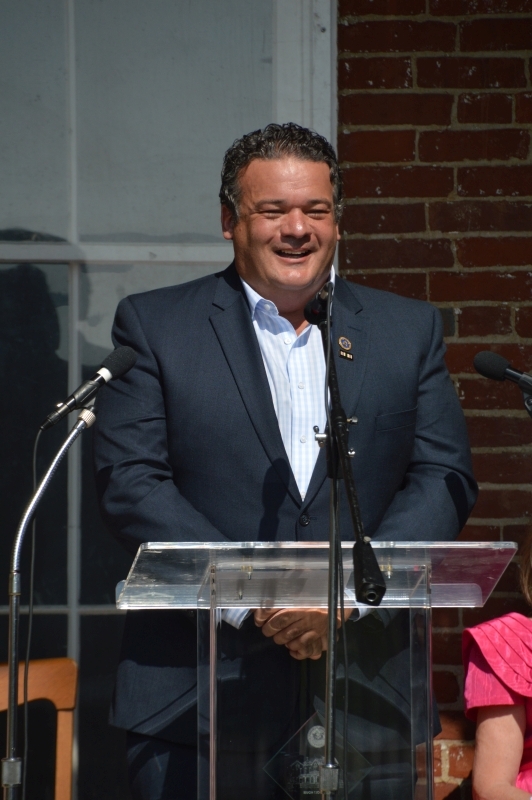 Special speakers included Kentucky State Representative Dean Schamore, Kentucky State Senator Steve Meredith, and Jon Rollins, GRW architect for the Holt Home restoration. 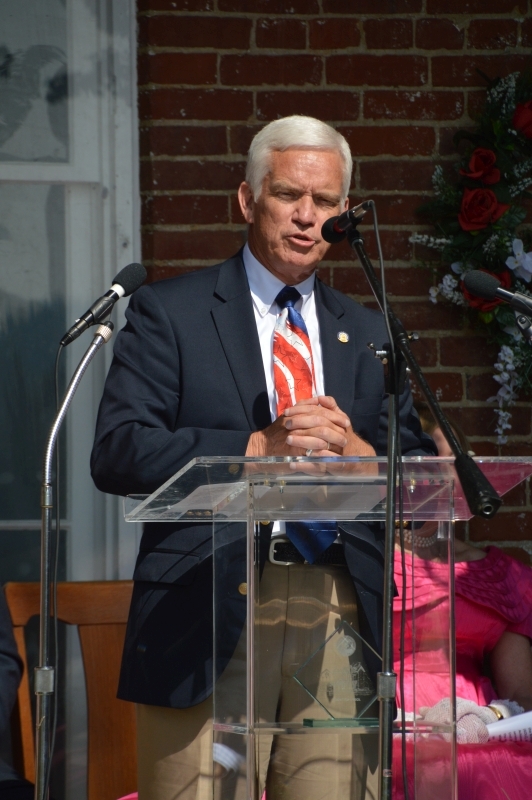 Breckinridge County Judge Executive Maurice Lucas was another key speaker and Charlie Corbett, Friends of the Holt Home director, recognized families and individuals for their support as lifetime Honored Friends of the Holt Home. 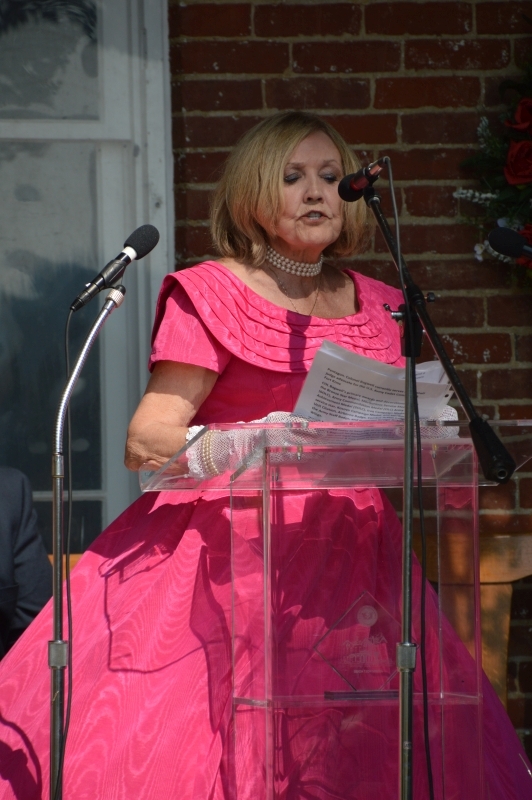 Susan B. Dyer, Friends of the Holt Home president, honored families and individuals for donations of beautiful period furniture collections. 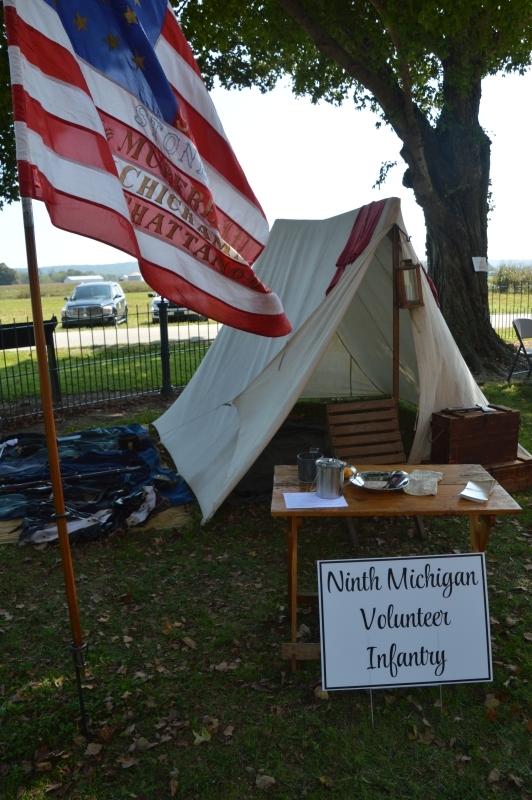 The community day was an opportunity to appreciate what Brig. 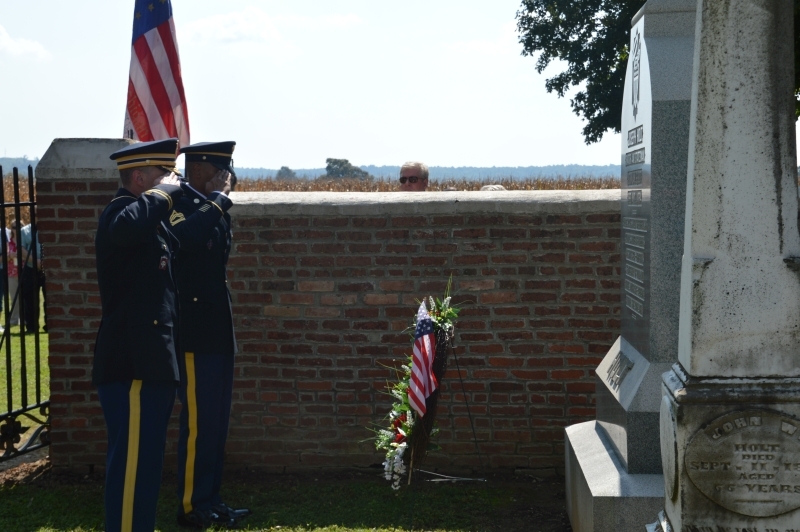 Gen. Joseph Holt did for our nation. 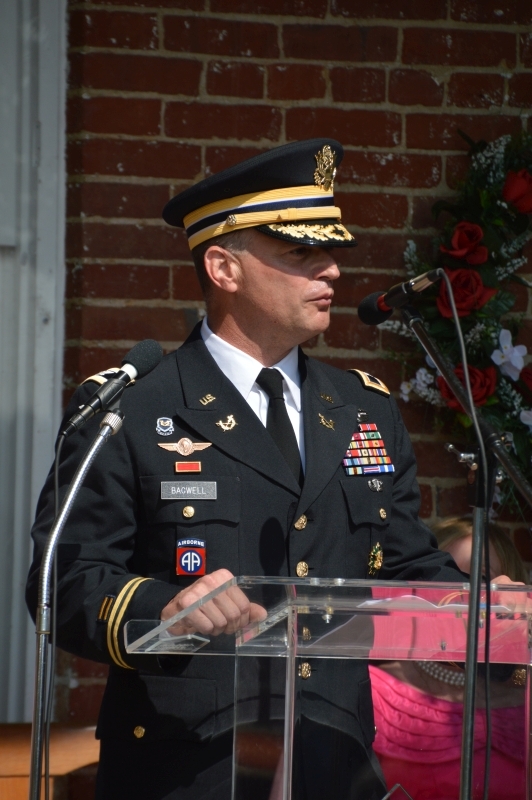 COL James A. Bagwell, staff judge advocate at Fort Knox, the keynote speaker, emphasized how Judge Holt helped hold our nation together and is a great example of a patriot to the United States Army Judge Advocate Generals (JAGs). 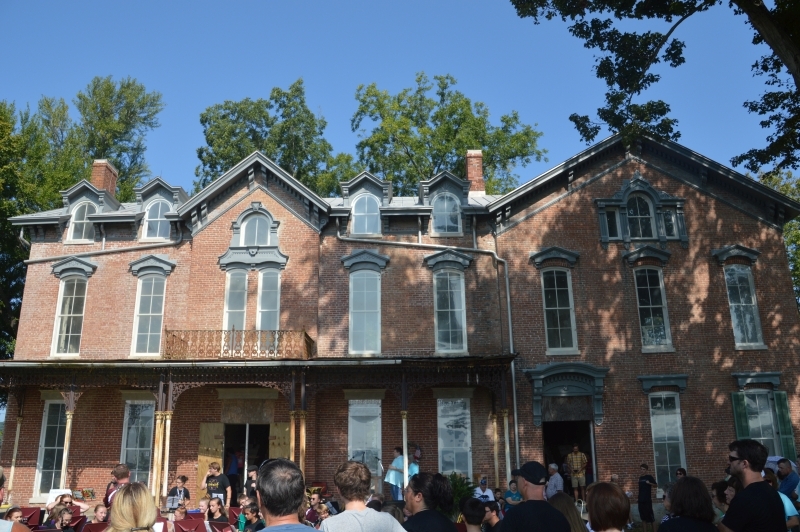 The renovation of his home has been instrumental in restoring the legacy of Judge Holt, Pres. 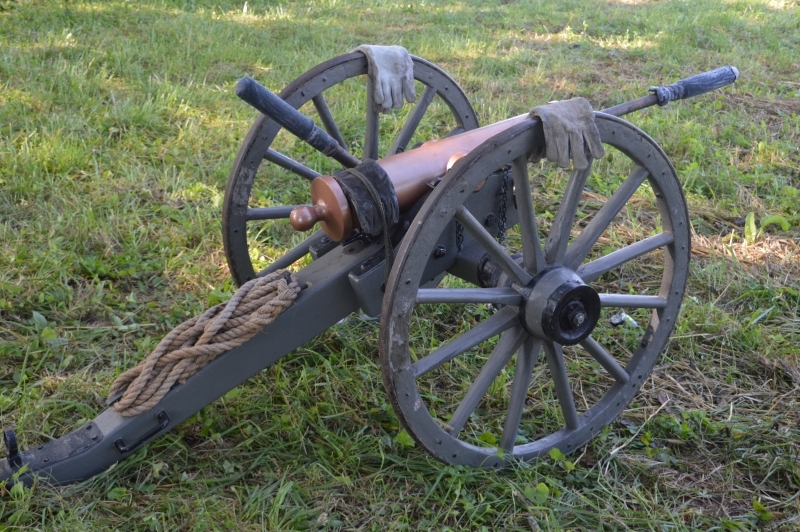 Abraham Lincoln’s Judge Advocate General for the U.S. Army. 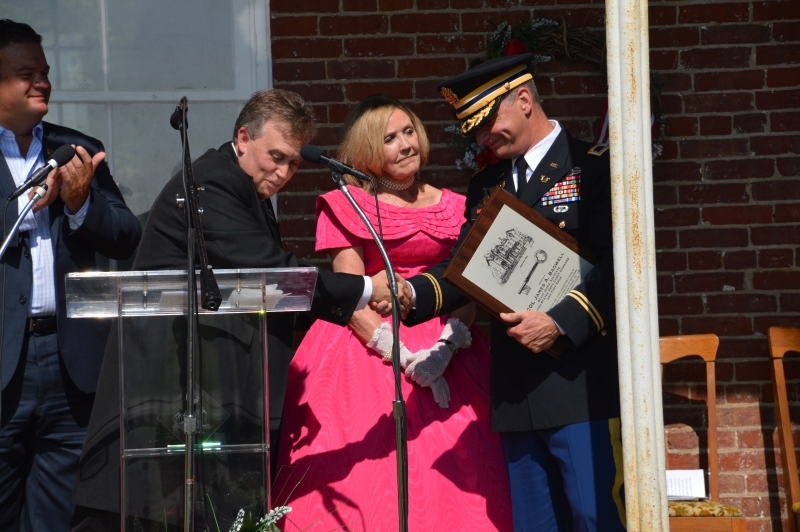 It also has been key to partnering with the Friends of the Holt Home, the United States Army Cadet Command and the Fort Knox Office of the Staff Judge Advocate. 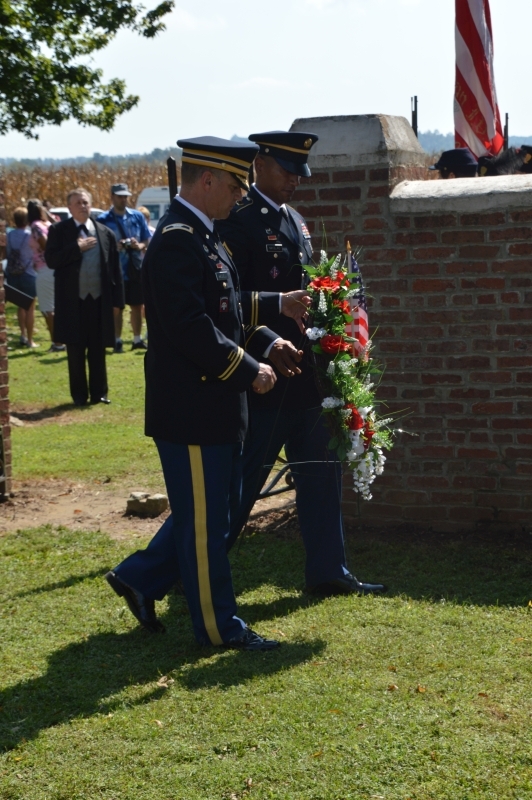 The Fort Knox JAGS have made it a tradition to come annually and place a wreath at Judge Holt’s monument. 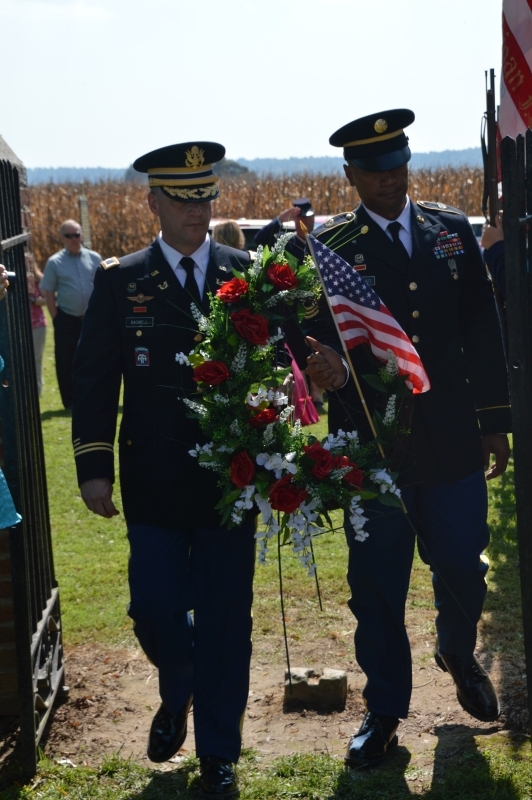 Many walked to the Holt Family Cemetery as the wreath was placed by COL Bagwell and Master Staff Sergeant Konrad Nikolao. 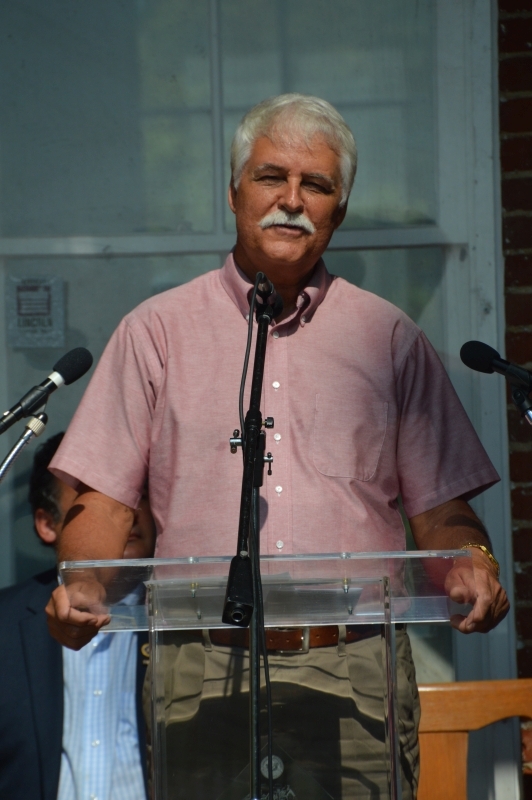 Taps was played by Paul Rotramel, Breckinridge County assistant band director, as the JAGS gave honor to one of their own. 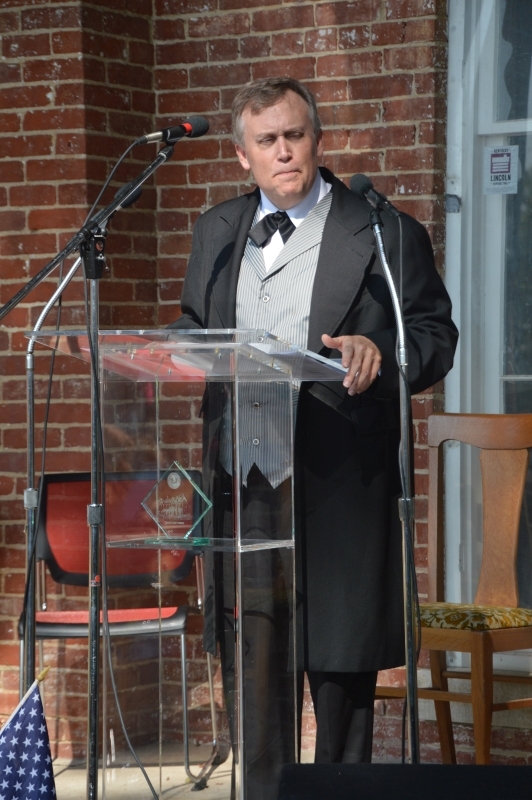 Judge Kelly Easton, master of ceremonies, reminded the community about Holt’s legacy and his importance in American history. 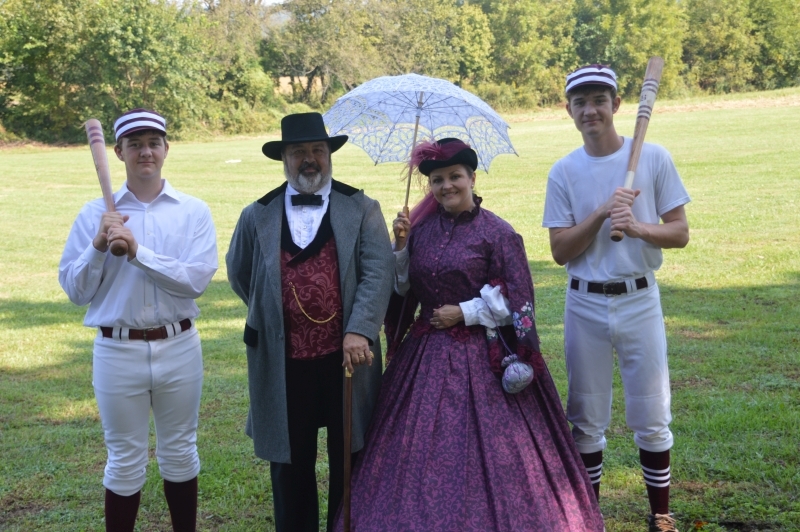 The afternoon continued with Larry Elliott, portraying President Lincoln, throwing out the first pitch at the Civil War baseball game that continues to be a big hit with visitors. 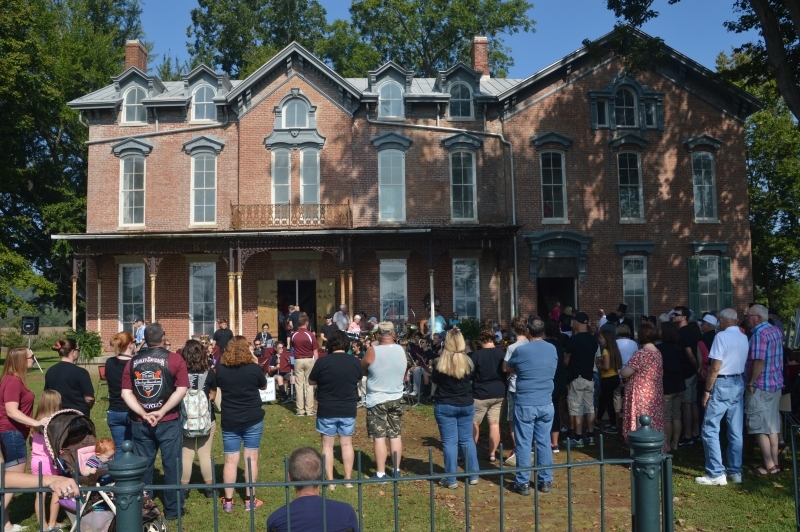 The KY Home Guard Band and the Guilderoy Byrne Band entertained the crowd as Breckinridge County High School students gave tours of the home, and trees from the grounds were sold. 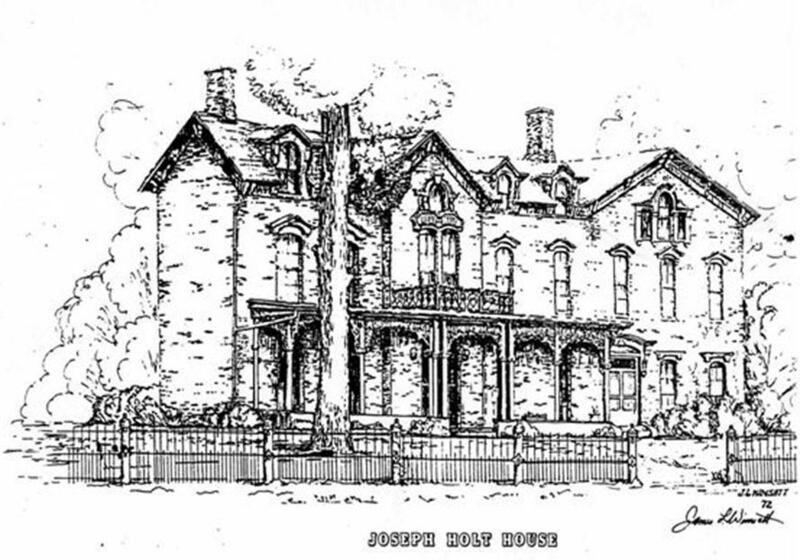 Preservation efforts to save the Holt Home began 20 years ago. 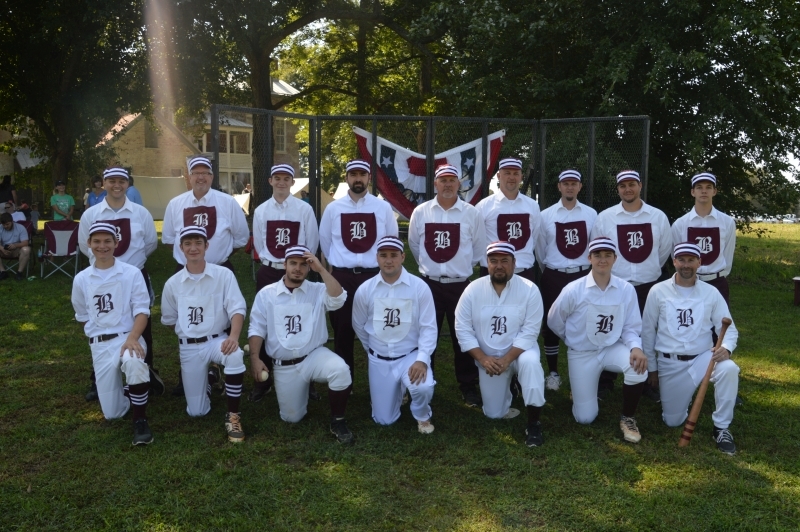 An account of that journey will be featured in a new book by Susan B. Dyer, published by Acclaim Press. Due for release in September 2018, the volume has the working title, The New Jewel in Kentucky’s Civil War Crown. 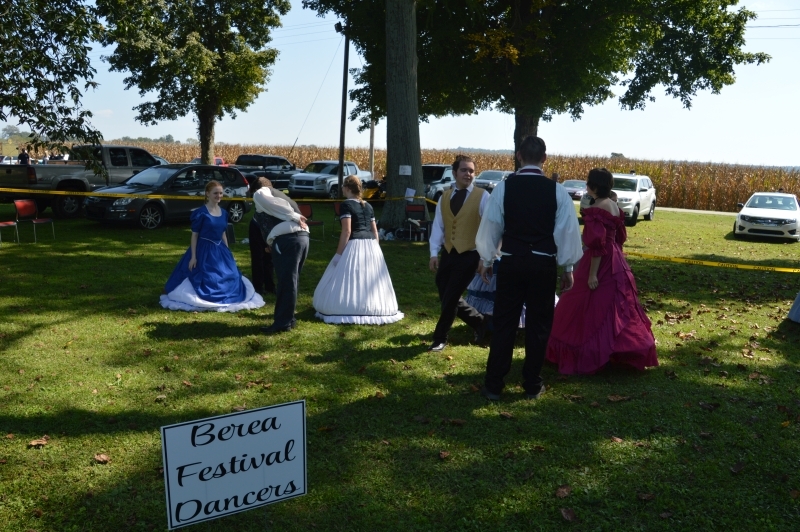 Photo Credit for the the photos on this page to Glen Arnold, Arnold Studios & More, Garfield, Ky.
Berea Festival Dancers danced tunes of the period, director, Jennifer Rose Escobar. 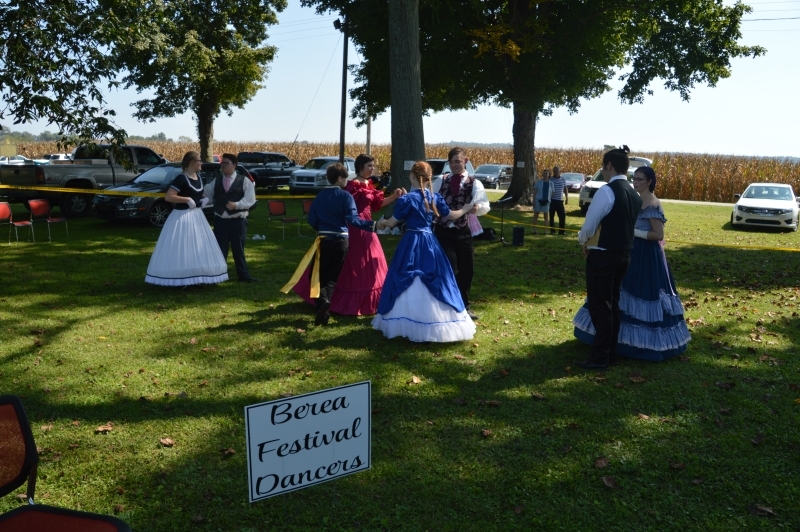 Berea Festival Dancers danced the tunes of the period. 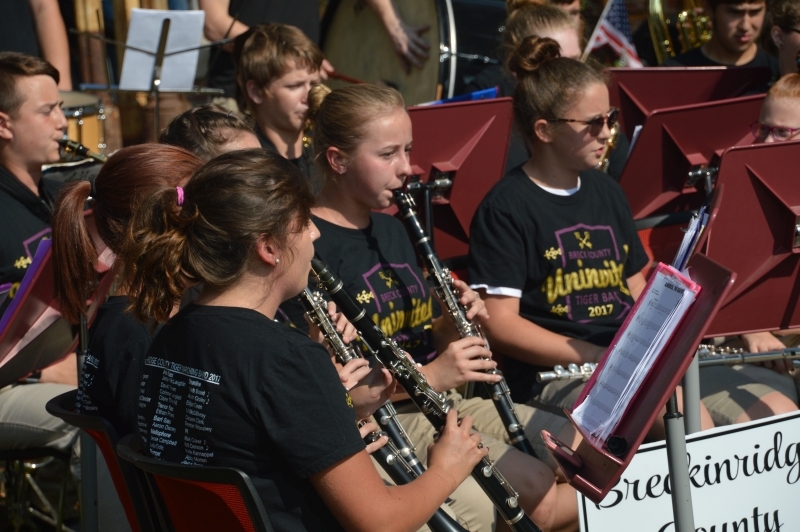 The Breckinridge County High School Band making its debut with Director Ricky Dudgeon. 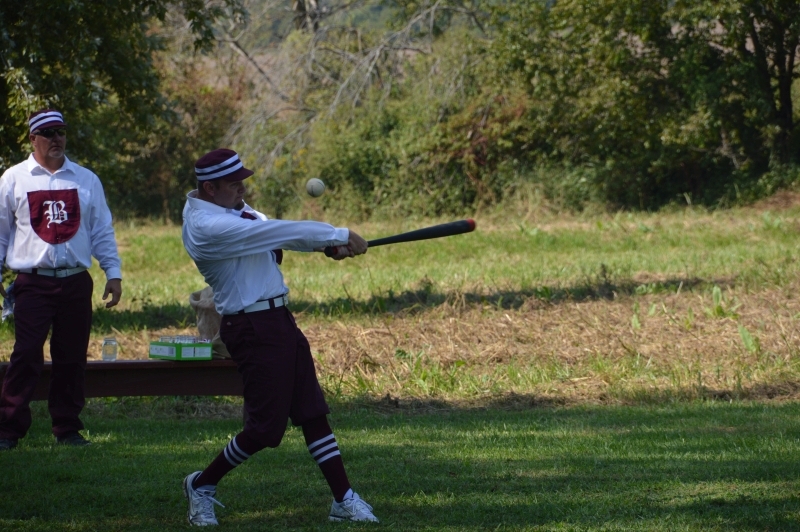 The Breckinridge County High School Band playing a period piece. The Breckinridge County High School Band, performing majestically on the lawn with Director Ricky Dudgeon. 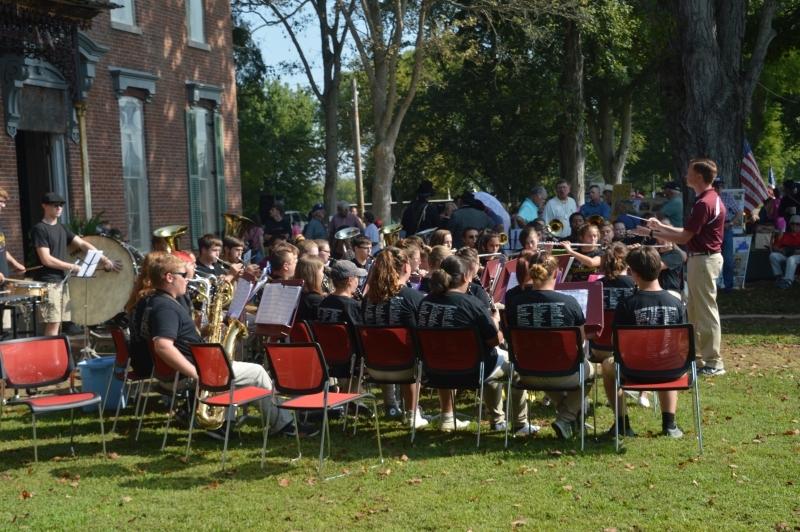 Visitors listening to The Breckinridge County High School Band perform. Paul Joseph O’ Donoghue and Alison O’Donoghue Mattingly, sang period selections. 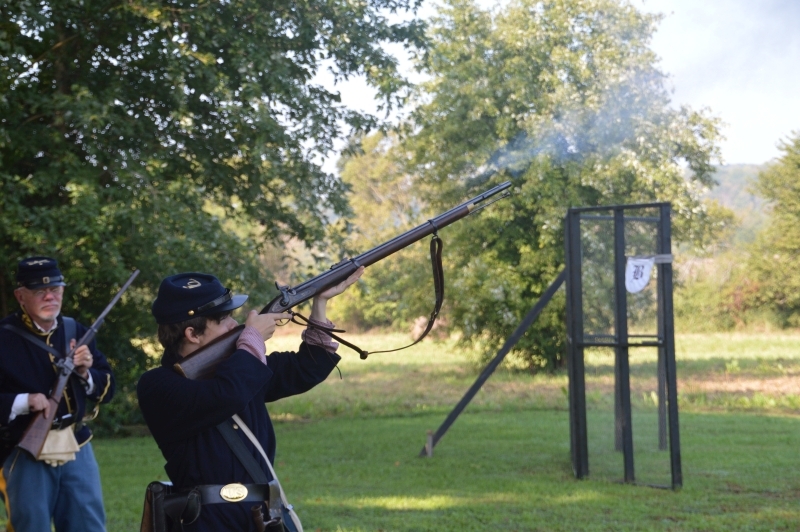 Ninth Michigan Volunteer loading his rifle. 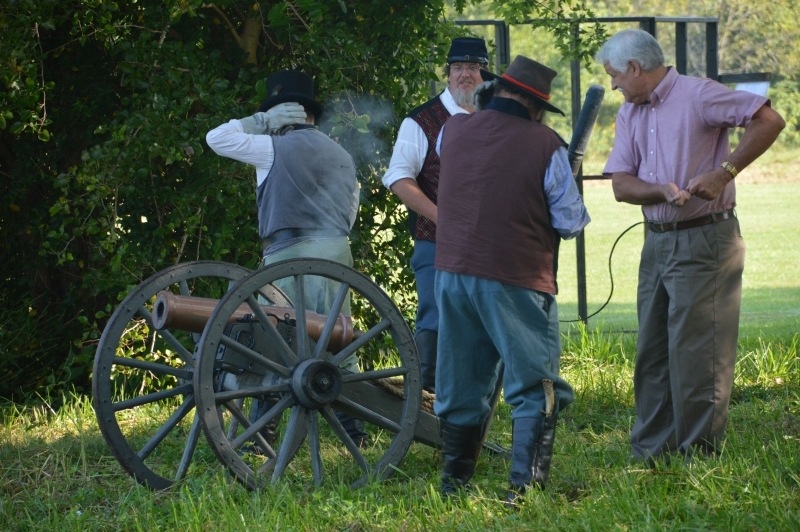 14th Light Artillery loading the cannon, preparing for firing! 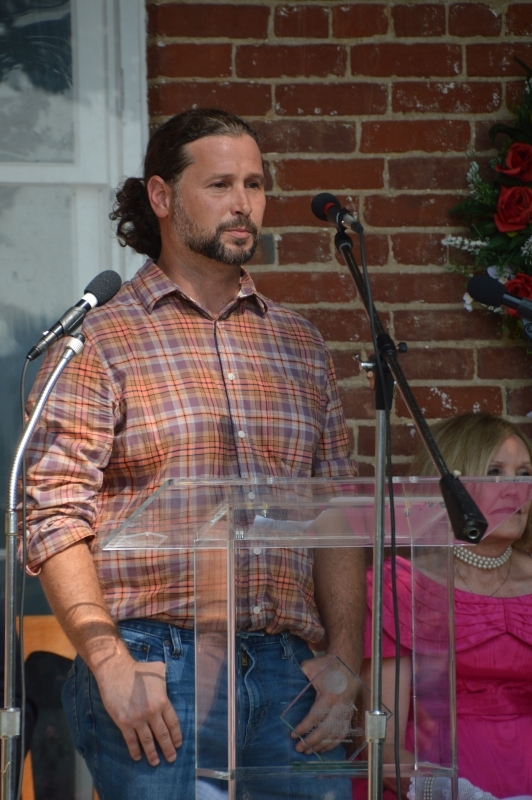 Jon Rollins, GRW architect for the Holt Home restoration. 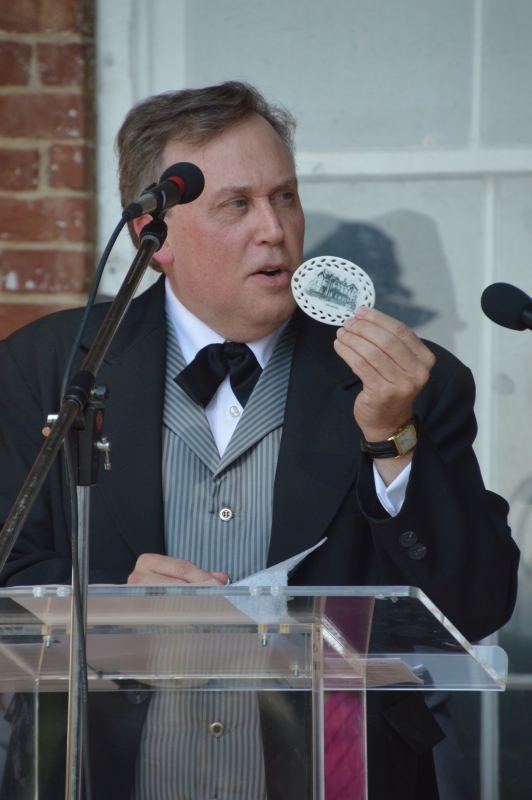 Judge Holt portrayed by Judge Kelly Easton (Master of Ceremonies). COL Bagwell and Master Staff Sergeant Konrad Nikolao. 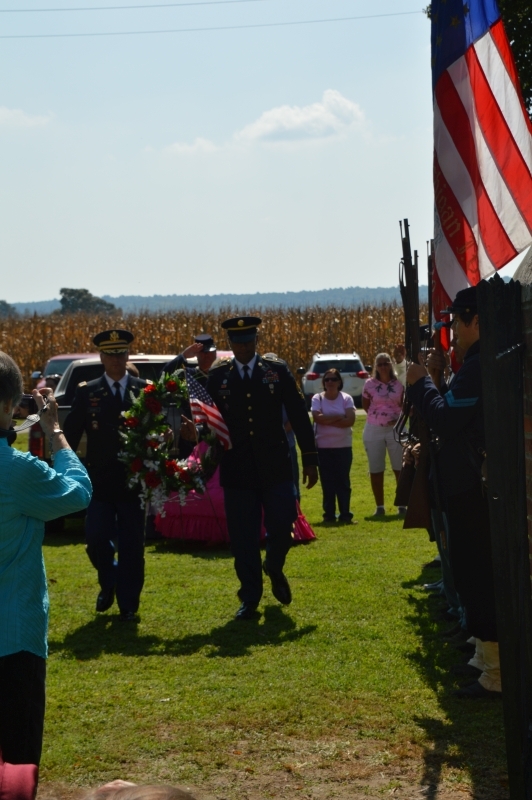 COL Bagwell and Master Staff Sergeant Konrad Nikolao entering the gates of the Holt Cemetery. 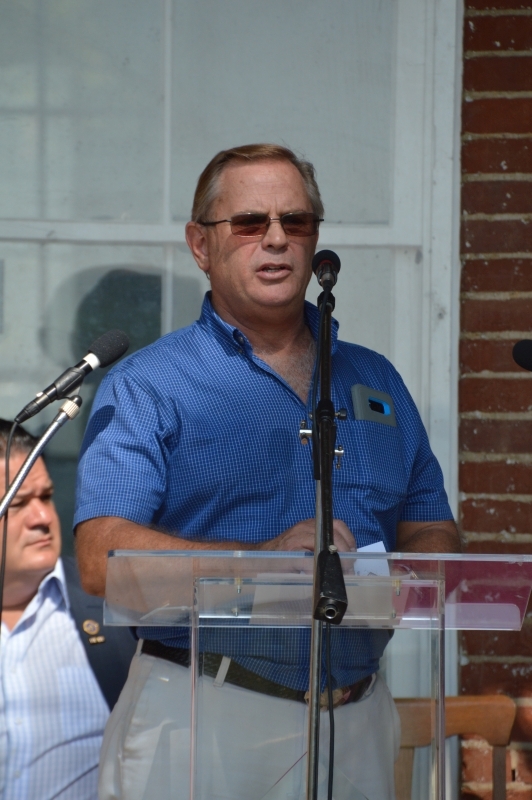 Taps are played by Paul Rotramel, Breckinridge County assistant band director. 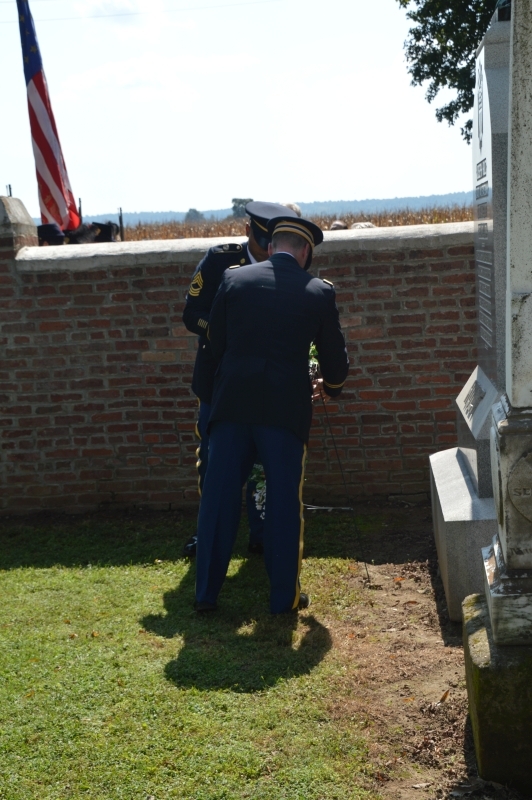 COL Bagwell and Master Staff Sergeant Konrad Nikolao placing wreath on Judge Holt's grave. 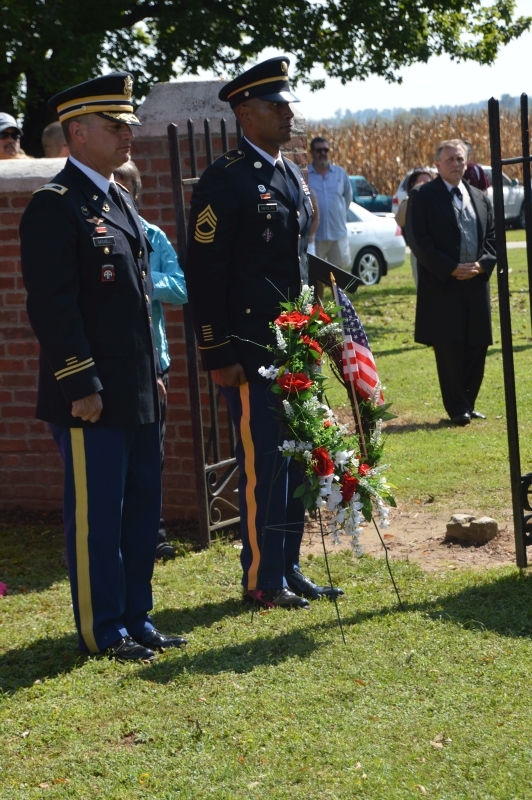 COL Bagwell and Master Staff Sergeant Konrad Nikolao paying honor to Judge Joseph Holt. 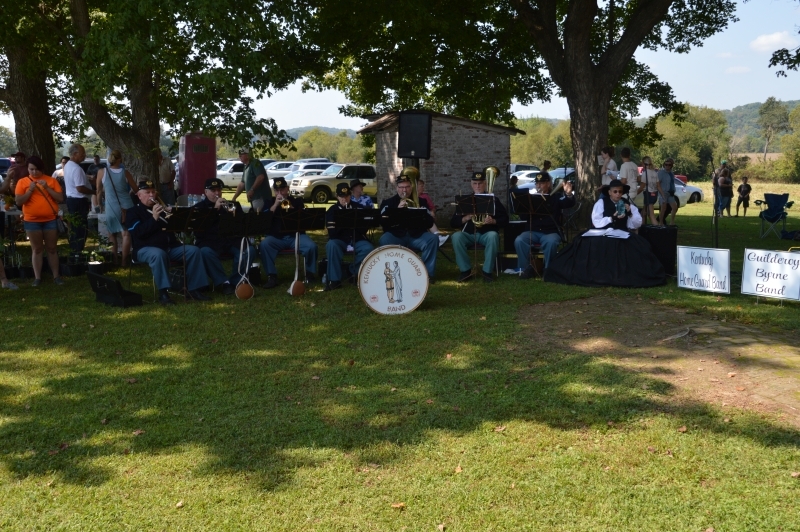 The KY Home Guard Band entertained the crowd. 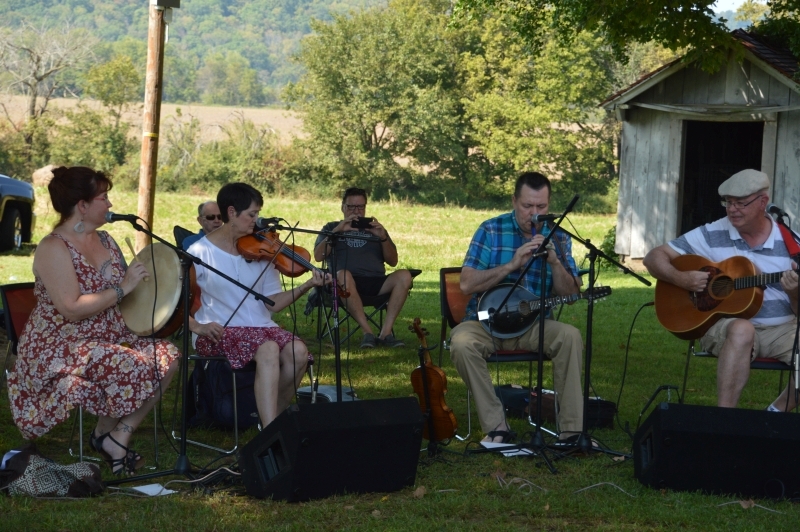 The Guilderoy Byrne Band playing music. 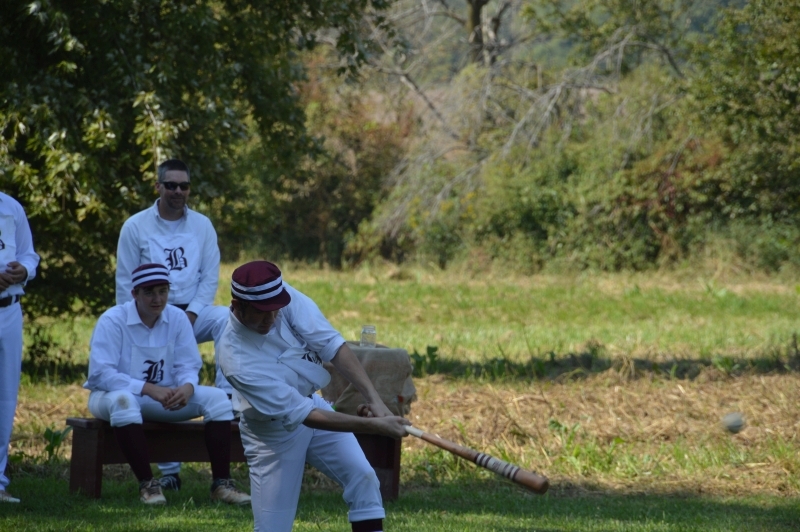 The Period Style Baseball Game is a Crowd Favorite. 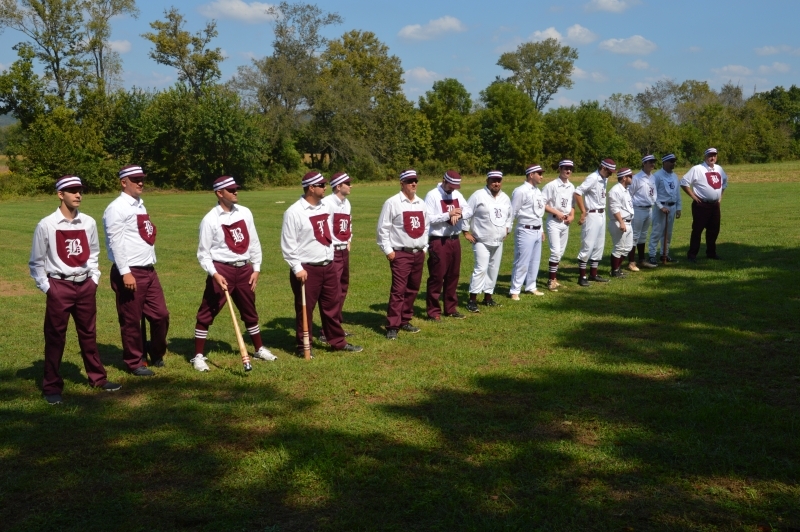 Period Costumes of the day! Looks like a good hit!